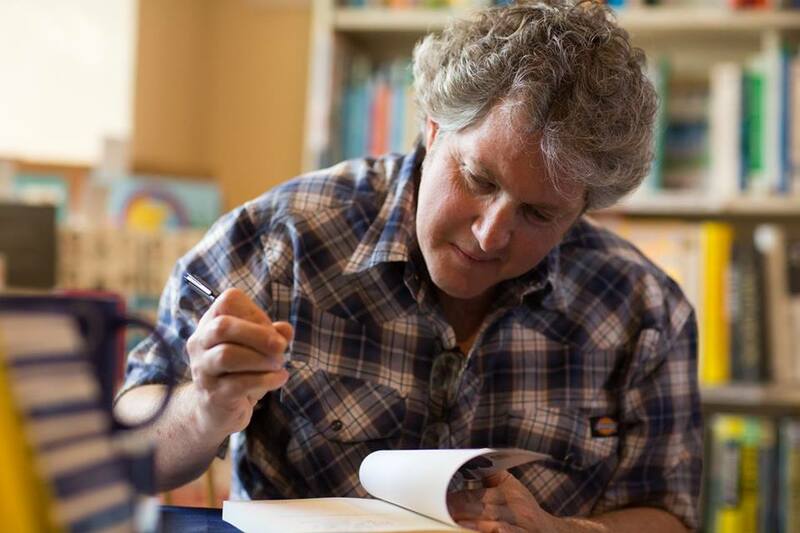 Out of Exile, on Main St.
One had to be from the small Solano County town to call it Main St. in the first place, and sure enough, June 1st found our intrepid author right where he started—back in Benicia like a bogus $20. 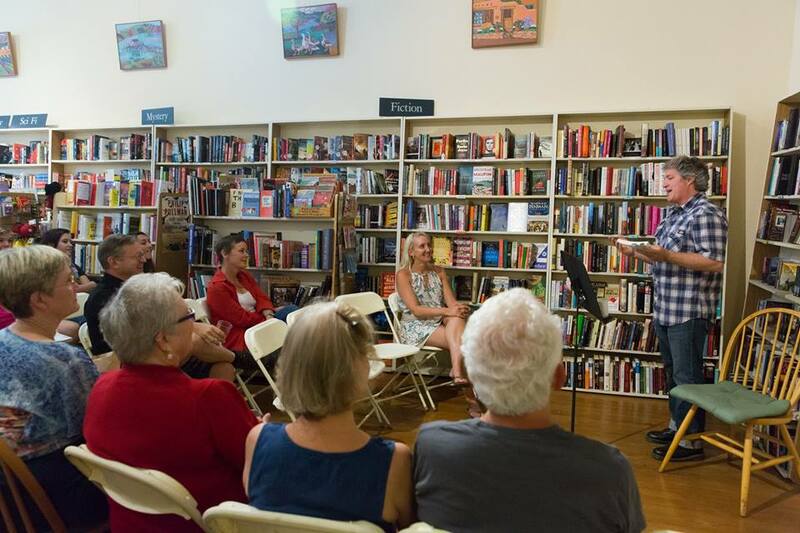 A homecoming of sorts, Román Leão’s latest reading from inside a broken clock: a modern fable packed the independent Bookshop Benicia with friends, family, and lovers of quality independent literature of all stripes. The locally owned bookstore has provided town bibliophiles with their drug of choice since the early ’90s (that’s the Nineteen 90s for all you youngsters on the Interwebs). A few years back, owner Christine moved the shop to an historic building across the street from the Old Capitol. Of California. That’s right, Benicia was the capital of the greatest state in these United States back in the ’50s (that’s the Eighteen 50s, long before the iPhone, Rolling Stones, or Civil War). 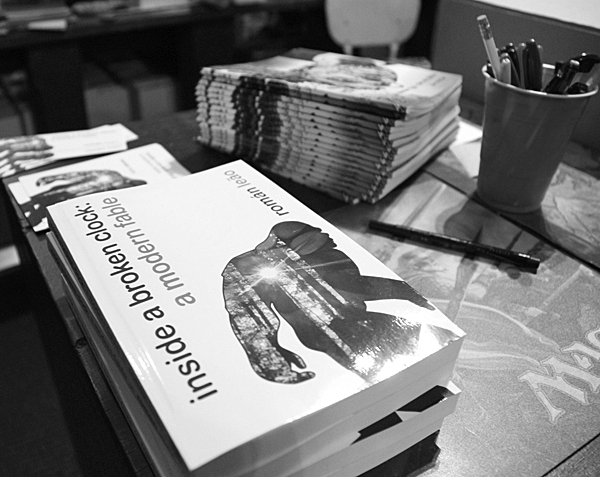 You can find a book all about it at 636 First St.—as well as pick up a copy (or two) of inside a broken clock. Read a book (or two). Your brain will thank you for it. 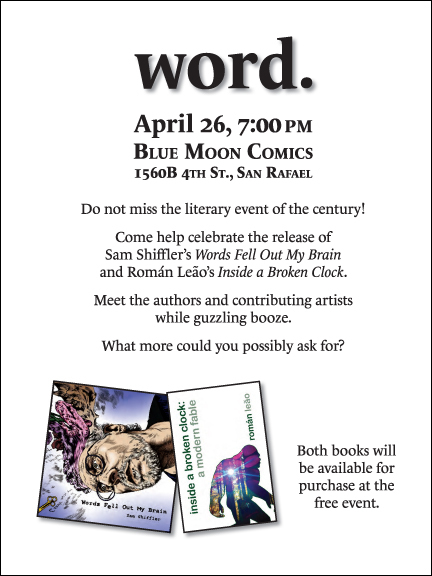 Lovers of fine literature and potent poetry packed San Rafael’s Blue Moon Comics the evening of Saturday, April 26 for the release of Román Leão’s inside a broken clock and Sam Shiffler’s Words Fell Out My Brain. 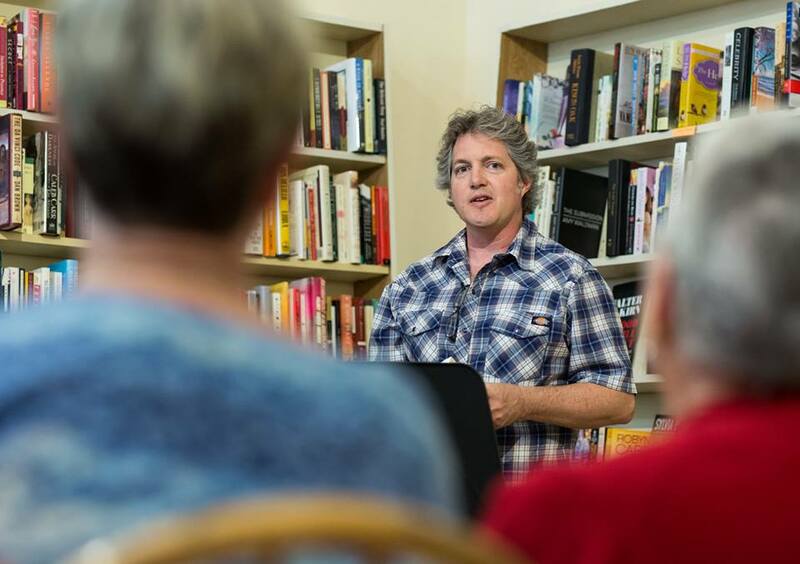 The North Bay shop has become a magnet for scenesters in the West End who turned out to meet artists who contributed to Shiffler’s book of poems and to hear Leão read from his debut novel. After a collective signing of Words was well under way, Leão took the loft overlooking the long narrow space and regaled the crowd with bawdy tales of karmic misadventure. By the time he finished reading, there wasn’t a dry mind in the place. Many thanks to everyone who came out for the event and to Alex Jane Head who took photos. Both books are available at Blue Moon Comics, located 1560 4th St, San Rafael, as well as on the Interwebs. 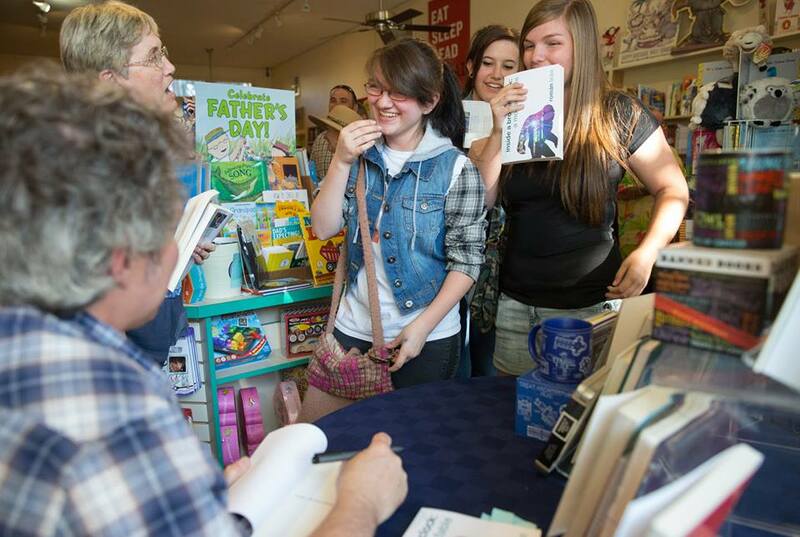 The next pla nned event for inside a broken clock will take place June 1, 5:00 pm at Bookshop Benicia. Details to follow as we get closer. The steady proliferation of clock in Bay Area communities is beginning to concern authorities. If unchecked, this societal scourge will subvert the moral fortitude of our most susceptible citizens. The only way to keep questionable literature out of the hands of impressionable innocents is to buy it all up your self! 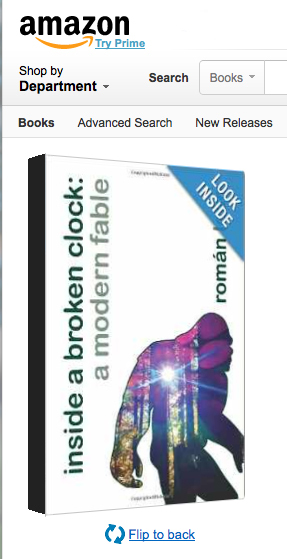 Luckily, this is getting steadily easier as inside a broken clock: a modern fable by our dapper doppelgänger Román Leão has just been picked up by Amazon. Friggin’ Amazon! 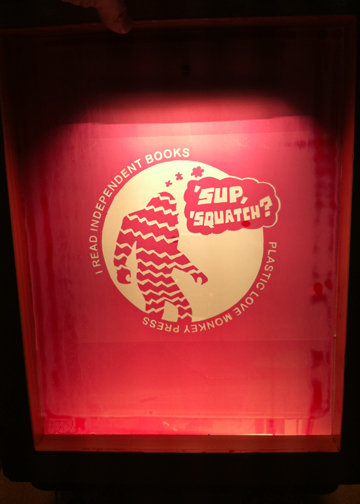 For those of you who prefer to purchase your subversive literature at an ol’ fashioned brick and mortar—and no disrespecting the big A, that is most of us—watch this space! 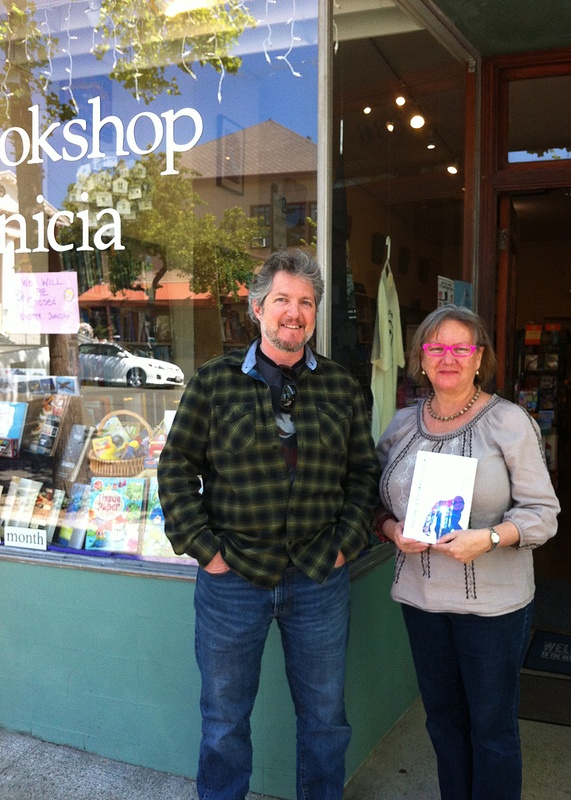 Books will soon be available at Blue Moon Comics in San Rafael and Bookshop Benicia in … well, Benicia. There will be readings and general frivolities to follow. For all of you who have already bought a dose, thank you. If you find any extra time, please take a moment to write a review on Lulu and/or Amazon. 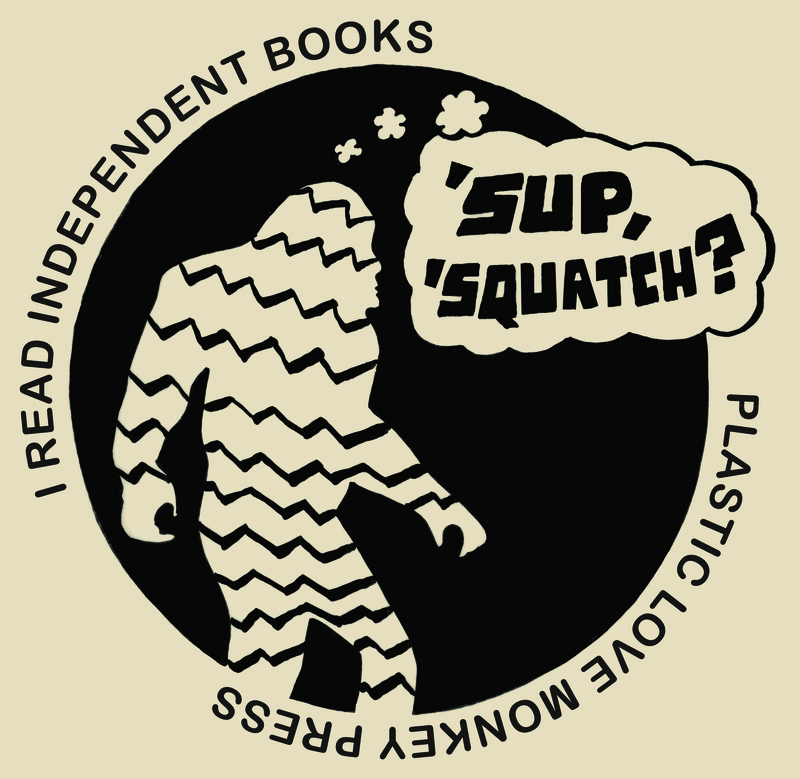 Feel free to give it five stars, or compare it to War and Peace—only with decidedly less pages and Sasquatch instead of Russians. Or, you know, tell the truth. 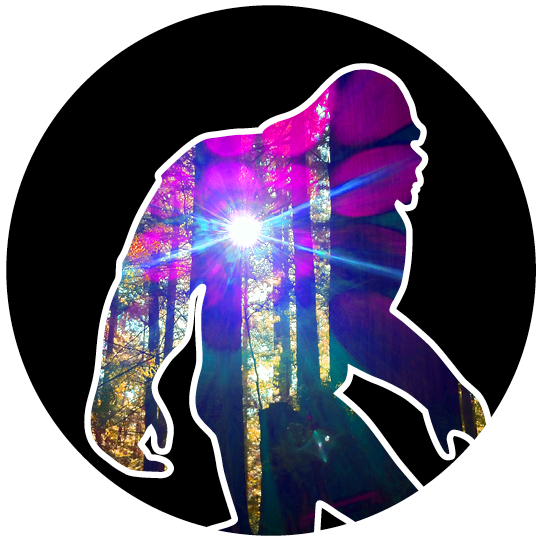 Your favorite time-fractured dystopian Sasquatch novel with metaphysical leanings currently holds the number two spot for Science Fiction & Fantasy. Thanks to all of you. Tell your friends! The bookmark we designed to announce Román Leão’s inside a broken clock (available here at Plastic Love Monkey Press) was featured on PsPrint’s Hot Off the Press blog today. 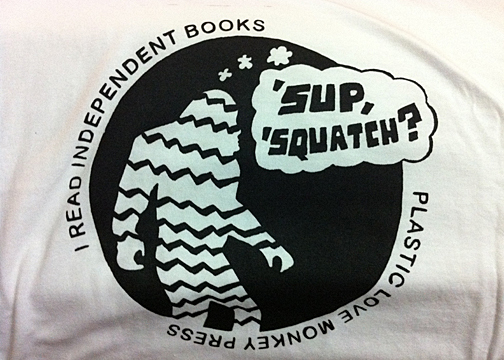 Who doesn’t like Sasquatch swag? Nobody, that’s who.